The ash sits underneath the typical white mould covering of the appearing, giving hints of its presence through those dark speckles. 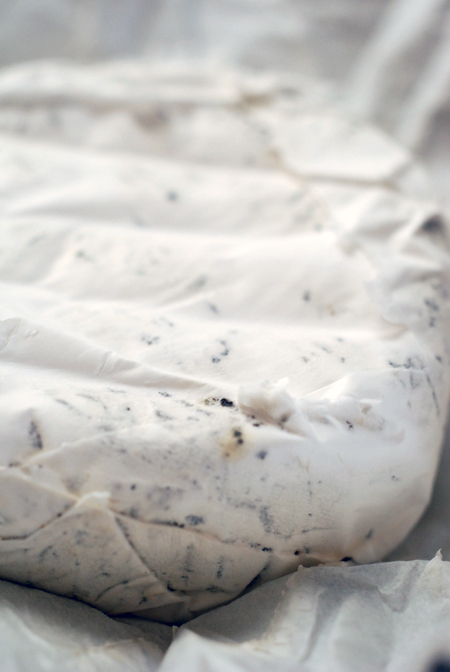 Once cut you'll see that the ash forms continuous coating surrounding the cheese. 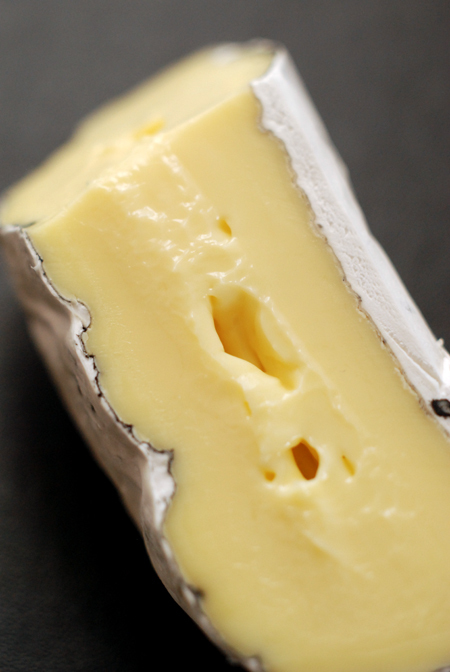 The cheese itself has a deep golden colour, a semi-soft band runs through the center. 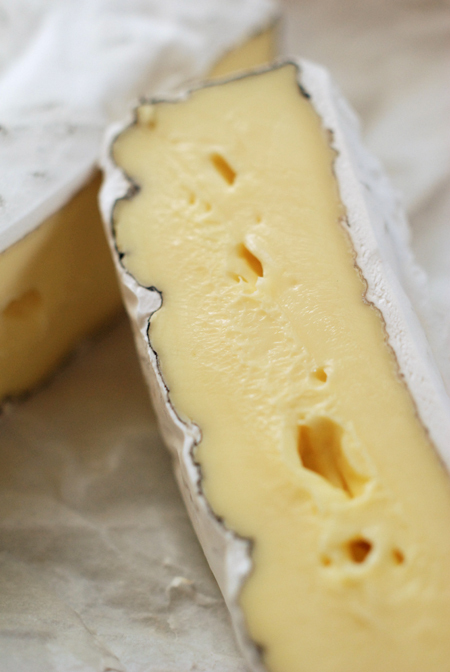 This is certainly a firmer style of brie. 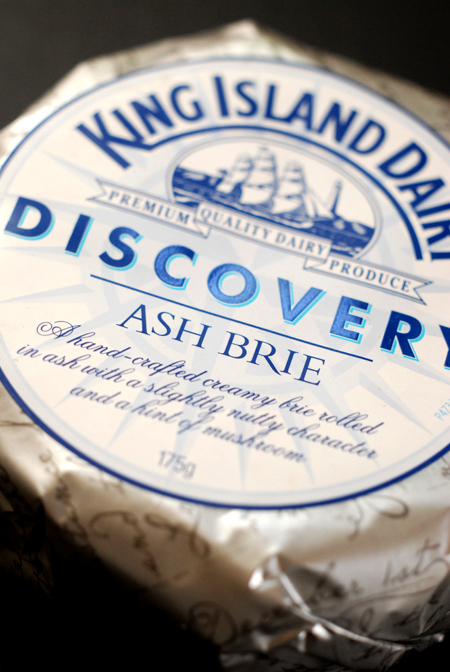 Tastewise, its pleasantly creamy, with nutty notes, the ash itself has a subtle influence on the flavour. Do you have any idea what the ash was before it was burnt? Why would anyone roll cheese in ash? I'm eating it now and I can't say there's any improvement over regular brie.